British master papermaker, James Cropper, based near Kendal in the English Lake District, has invested in the web-hosted Machine Sentry® system to monitor and provide ‘watchkeeping’ data and fault diagnosis to support the on-site engineering team in planning an effective programme of equipment maintenance and replacement. A top priority for the business is to achieve significantly enhanced production reliability, and to ensure production facilities are in top working condition to meet customer requirements. With no limit on data storage, all condition monitoring techniques, including visual inspection notes are captured via the web platform. The wealth of data captured by Machine Sentry® installed at James Cropper provides an overview of production equipment to the AVT Reliability condition monitoring experts who are able to report on faults and suggest preventative measures, thereby allowing the company to act on recommendations to pre-empt potential failures and avoid costly repairs and downtime. The Machine Sentry® system has been successfully implemented on-site and has already made a huge difference on planned maintenance activity and plant efficiency. It has been estimated that the return on investment for the service in year one is in the region of 7:1. 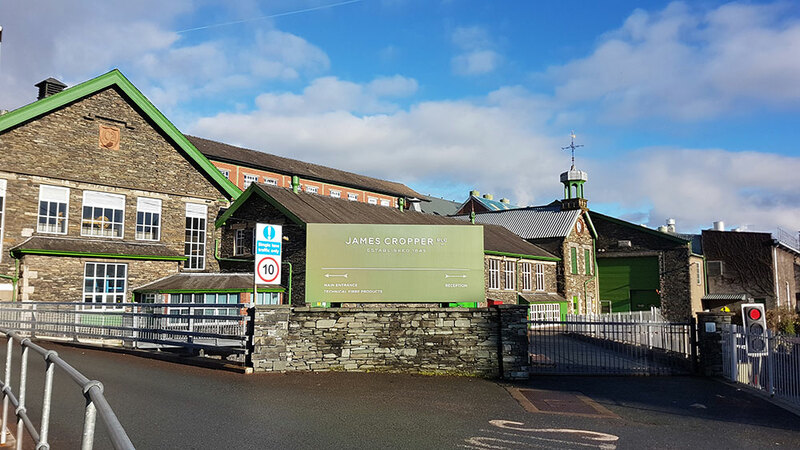 James Cropper are prestige paper innovators based in the English Lake District, supplying distinct, custom-made paper products to many of the world’s leading luxury brands, art galleries and designers. Celebrating 170 years of high quality paper production in 2015, the business has been carefully stewarded and nurtured by six generations of the Cropper family and is renowned globally for individual expertise in colour, dedicated responses to the most challenging custom projects and award-winning commitment to the highest standards of sustainability. AVT Reliability have worked with James Cropper for over a decade, providing reliability analysis and support through a world class team of engineers at the Reliability Data Centre (RDC). AVT Reliability have also provided full training for the engineering team at James Cropper who are responsible for primary data collection on-site. The condition monitoring systems previously implemented by James Cropper used a traditional approach to data collection, analysis and support and were taking up a great deal of valuable time of their skilled engineers. 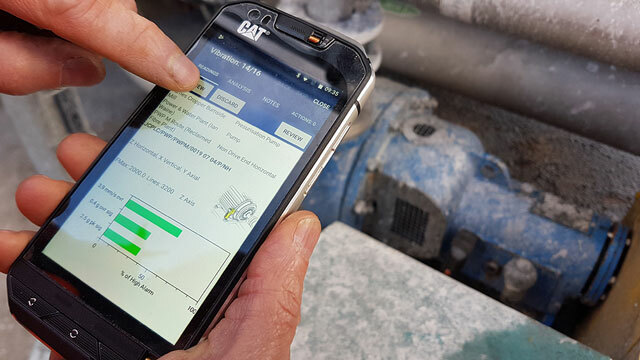 The data collection devices onsite were due to be upgraded, and the business made the decision to adopt a new state-of-the-art remote monitoring and analysis approach that could be seamlessly integrated with existing business processes and enable more accurate and speedy equipment diagnosis. Using the old systems, data could only be analysed during the next scheduled visit of an AVT Reliability consultant, limiting reaction time and reporting capabilities on predictions of machine reliability and potential failures. In addition, the data did not fully integrate with new technologies, which could help to avoid significant failure and therefore enhance production reliability by reducing downtime. There was a great opportunity to bring the systems up-to-date, improve asset health and its condition, and reduce breakdowns and associated losses. Glyn Gannon, Maintenance Manager at James Cropper worked together with David Stevens, AVT Reliability’s Technical Authority and Reliability Data Centre Manager, to develop and specify a much improved web-based condition monitoring system that would integrate with the plant maintenance strategy and improve asset reliability. Pros and cons for both the existing set-up and the new system were considered, and ultimately highlighted the benefits of the Machine Sentry® system which allows a mobile device to be turned into a powerful condition monitoring data collection tool via a 3G/4G network. Adding the site’s historic data and combining it with Machine Sentry®’s unique five million readings enables a more informed analysis and improved decision making. The Machine Sentry® system from AVT Reliability is a unique cloud-based solution that enables effective vibration, thermal imaging, visual inspection, and oil analysis data acquisition to be remotely accessible for data analysis. The recommendations resulting from the analysis can enable effective maintenance planning, management reporting and production optimisation. The system works with any Android web-enabled device allowing faster collection times and standardisation of processes. With no limit to the historical data storage, all condition monitoring techniques, watch keeping, process measurements, thermal imaging, lubrication management, vibration analysis, oil analysis, asset technical documentation and even visual inspection notes can be accessed via the Machine Sentry® web platform. These parameters and many more are incorporated into one online database. Key performance indicators can be set to measure the effectiveness of the programme and track specific activities and usage. Common fault diagnosis is automatic, identifying potential problems and suggesting verification procedures to confirm. A built-in analysis support tool allows immediate onsite fault condition identification with recommendations for James Cropper. Meanwhile, the web-based system means that all of the data is immediately available at the AVT Reliability RDC such that the expertise and experience in this remote support facility can be utilised immediately. Indeed the data can be accessed from any web-enabled device with a secure log-on. Having the remote facility means that costly travel time is replaced with true technical analysis allowing data trends to be identified and rectifications or preventative work to be identified and undertaken to maximise MTBF (mean time between failure). Machine Sentry® can be deployed worldwide and data from multiple sites can be accessed from anywhere in the world. The Machine Sentry® system installed at James Cropper will maximise uptime by improved fault identification and prevention. Not only will the system find potential failure modes, analysis of the online data by AVT Reliability’s dedicated senior condition monitoring engineers allows the root cause to be identified and action taken to resolve future issues. The system not only reduces administration, but also the length of time taken and the need for highly skilled engineers to collect the data. The Machine Sentry® devices tell the operator where to collect the data and how. James Cropper will take advantage of AVT Reliability’s experience, spanning over 40 years of reliability monitoring, analysis and recommendation. It means their highly trained engineers are immediately on-hand thanks to the cloud-based system. In addition, if advice is required by the site, a telephone call to the AVT Reliability helpline means that decisions can be made, thanks to the full dataset being available to view. The new Machine Sentry® system has already been used to identify a number of ‘bad actors’ - equipment whose breakdown could cause production problems. As an example, it identified an issue with a fan pump drive motor which had suffered electrical discharge on one of its rolling element bearings, and also an issue with a gas compressor which was found to have suffered rotor rubbing. Both issues were identified using Machine Sentry®, and it is estimated that a potential saving of over £75,000 was made. Considering that the first year cost for the system and software is in the region of £13,000, and a potential failure was avoided on the first week Machine Sentry® started its work, the return on investment was more than justified just 1 day, 5 hours and 28 minutes after the system had been implemented. It is anticipated that further savings will be made and uptime greatly improved to give James Cropper an even greater return on investment. In essence, Machine Sentry®allows simple and easy data collection giving engineers both onsite and in the remote AVT Reliability offices greater time to review and analyse the information assembled. The system provides a comprehensive overview of all of the assets, with detailed historic information, to further enhance evaluation and recommendation of actions to take, before any failure occurs, so avoiding costly repairs whilst maintaining uptime, production levels and profitability.